1 Ormesby Hall is located south of Middlesbrough in North Yorkshire. I have added GPS-coordinates to this page. 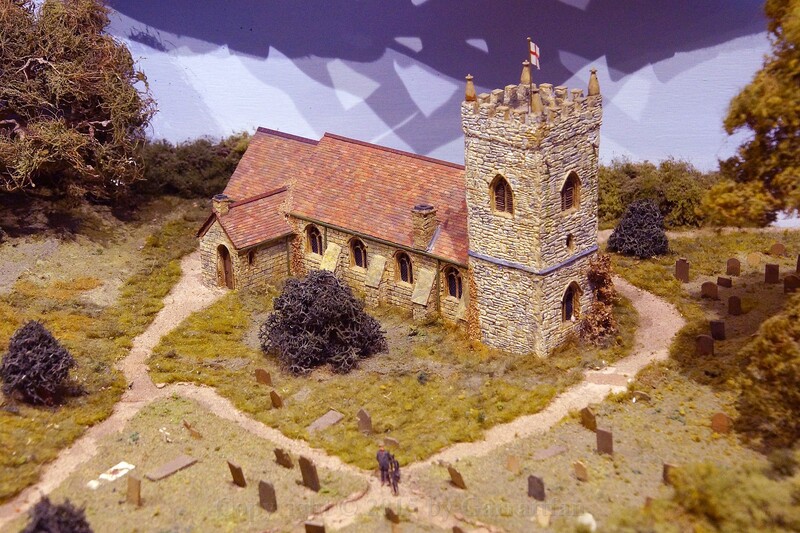 Click the pin at right top end of this text box to see Ormesby Hall. The pin on the map points exactly to where the layouts are. 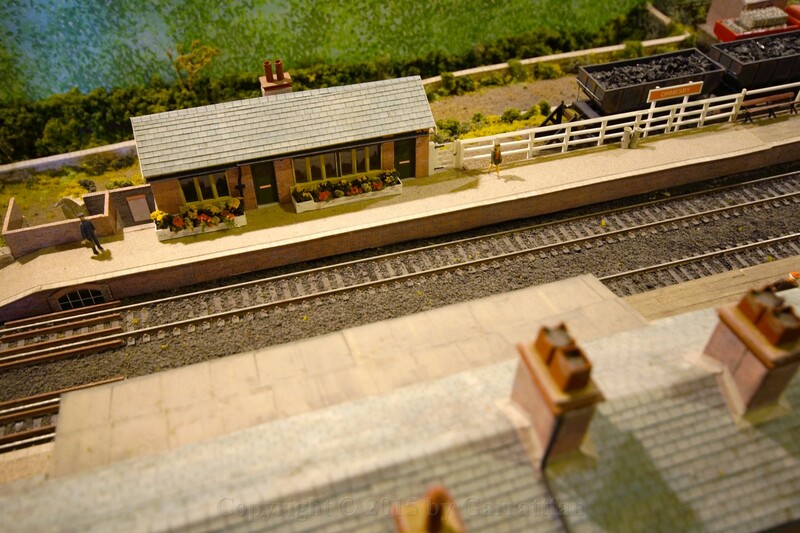 2 The first model railway is a small diorama that depicts a local station, if I remember correctly it is Ormesby's station in the sixties. 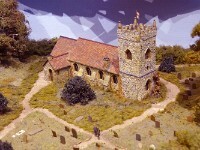 3 Not a big layout in most terms it is a gem, demonstratiing what you can achieve with little room and lots of patience. Good work! 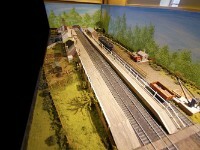 4 Pilmoor junction is a far bigger layout and it was operated while we visited it. I liked the spacious arrangement of track and the sweeping curves. 11 There were many details in the scenery that could keep you busy for a very long time. 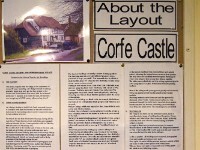 20 The real surprise of the day was the layout "Corfe Castle". 21 I was utterly surprised to find these buildings and I instantly recognised the style of it: Pendon! 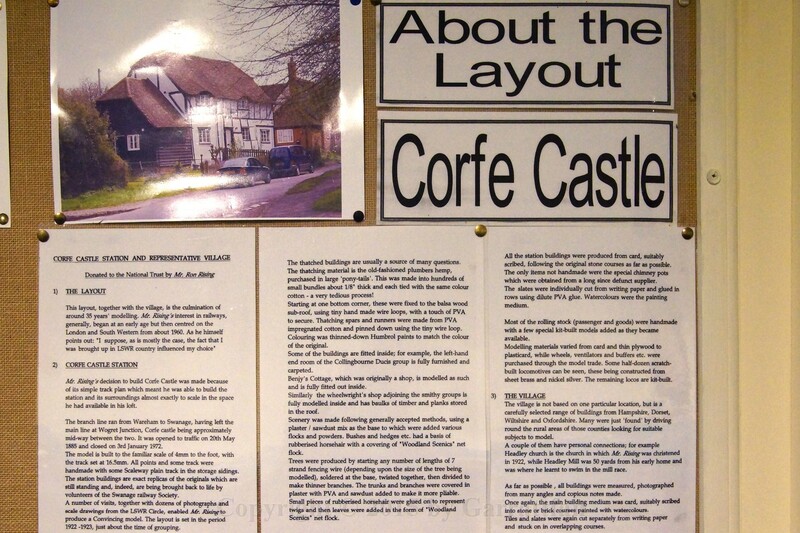 22 Getting into a most agreeable conversation with operators it transpired that the layout was the private layout of Ron Rising, one of the co-operators of Pendon. 24 What a time and energy has gone into these houses, but the results are simply stunning. 30 Being a builder of locomotives myself I would not have been too happy with this result. 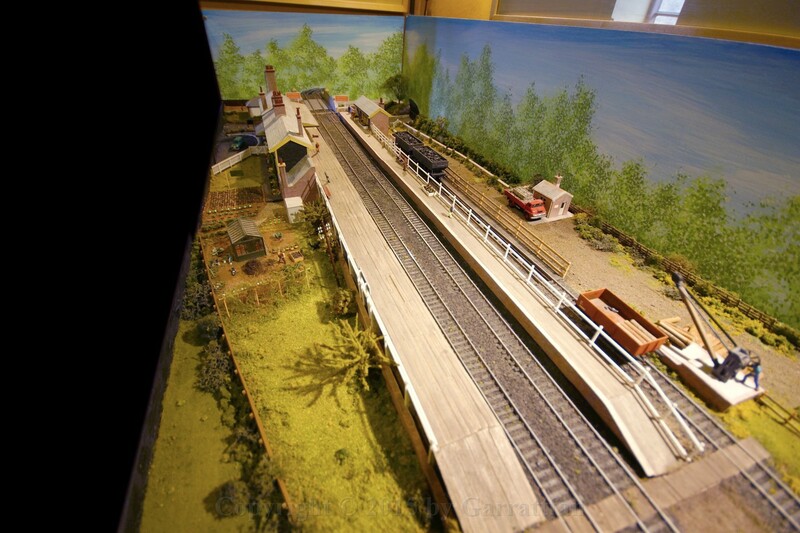 So quite honestly the locomotives do not quite live up to the standards of the houses and the scenery on the layout, but you can't have it all. Obviously you can spend your time only once and Ron Rising invested in buildings and scenery, and he did an excellent job at that! 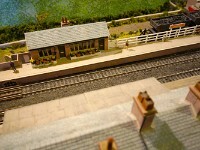 34 I had to drag myself away from this layout and the nice people of Ormesby.